First Nations Development Institute (First Nations) invests in Native youth and youth development through many different grant initiatives including the Native Youth and Culture Fund, Advancing Positive Paths for Native American Boys and Young Men, and the Building Economic Security Over a Lifetime Initiative, to name a few. Over the past 13 years we have served more than 5,000 youth in more than 200 Native communities across the United States. For the past several years, First Nations has been a major supporter and fiscal sponsor of the Oklahoma Native Assets Coalition (ONAC). ONAC is now an IRS 501(c)(3) nonprofit organization that provides tribes and Native nonprofits in Oklahoma with information and assistance on asset-building strategies and opportunities. 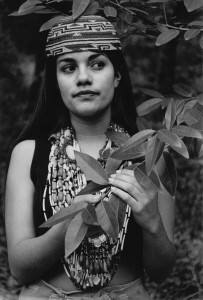 In 2014, First Nations awarded ONAC $100,000 under the Ford Foundation’s Building Economic Security Over a Lifetime (BESOL) Initiative. ONAC utilized part of this grant to establish a mini-grant program that supports Native asset-building projects in Oklahoma. Through this program, ONAC awarded four $3,500 mini-grants to tribes and community based-organizations that promote family economic security. The Wichita and Affiliated Tribes was included among these four inaugural grantees. The tribe used its $3,500 mini-grant to administer SummerSmart, an innovative youth program designed to increase knowledge of Wichita culture, language and life skills. Last summer, 27 Native youth participated in SummerSmart. During this two-month program, Native youth attended cultural activities that emphasized Wichita culture, language and history. Additionally, they participated in health and nutrition workshops and sports-related activities such as archery, dodgeball and kickball. Financial education is also major component of SummerSmart. Native youth received $5 per day (or $200 total) for participating in the program. They attended financial education workshops to learn how to manage their money and opened youth saving accounts to invest 10 percent of their summer earnings. 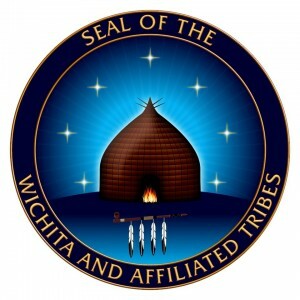 The Wichita and Affiliated Tribes’ SummerSmart Youth Program has been a tremendous success. More than 60 percent of participants have maintained their youth saving accounts, prompting project organizers to expand the two-month summer program into a regular after-school program. It is never too early to teach youth how to start saving or managing their money. The Wichita and Affiliated Tribes SummerSmart Youth Program demonstrates that tribes and community-based organizations have the potential to positively shape and influence the financial futures of Native youth through innovative efforts that merge culture and financial education.